Most of us have heard the age-old adage of “curiosity killed the cat.” Let’s take a closer look, though. 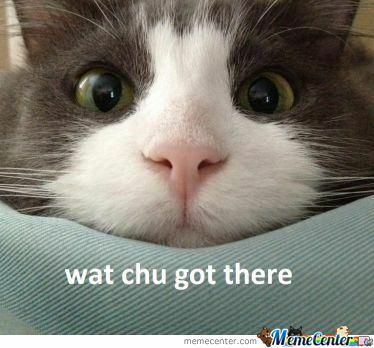 Has anyone ever seen this happen to our feline friend first-hand? I haven’t…and I grew up with wild ones roaming livestock barns, not your typical domesticated cats. I have the scratches and (barely) visible scars to prove it. Where the heck am I going with this? ? I know you’re asking yourself that as you read this. Hold on for a second…I promise there’s a career-related tie-in. Curiosity is important. It builds intellectual framework and credibility. In your career (or career search,) it’s important to remain curious. Never stop learning. Curiosity allows us to work on weaknesses and strengths. What if I was better at this or that? What if I did this differently? Everyone works on their weaknesses. You want to be better, right? Don’t forget about the things that you do well already. I wake up every morning with the goal of being just a little bit better than I was yesterday. You shouldn’t expect to go from amateur to expert overnight (it takes time), but if you work on both weaknesses and strengths, I bet you’ll surprise even yourself. So, what I’m trying to say here is that it takes curiosity to succeed in this big world. Use this to your advantage! Don’t just concentrate on one thing. Go beyond. Explore and learn! Share best practices and ask questions! Be curious. Interesting read Kirk. Its amazing how as kids we were ever curious and as we start ageing we were told to give up this need to know more. Good article Kirk. Its amazing how the very things which are basic to our human nature as kids, are suppressed as we start growing older. Good Stuff!